The Los Grillos "The Crickets” Renaissance Consort revels in performing music from the Medieval and Renaissance periods. The group’s vocal music includes classic English madrigals, French chansons, Spanish canciones, and, if you listen closely, you might even hear a catch or two. Instrumental and mixed pieces are performed on a wide variety of reproduction instruments including the familiar recorder; the funny curled crumhorn; the predecessor of the bassoon called the dulcian; the singing cornetto, an odd hybrid of recorder and trumpet; the sackbut, clearly recognizable as the early trombone; the cornamuse, a straightened cousin of the crumhorn; the compact but surprisingly low-pitched racket; the beautiful harp; and a variety of percussion. 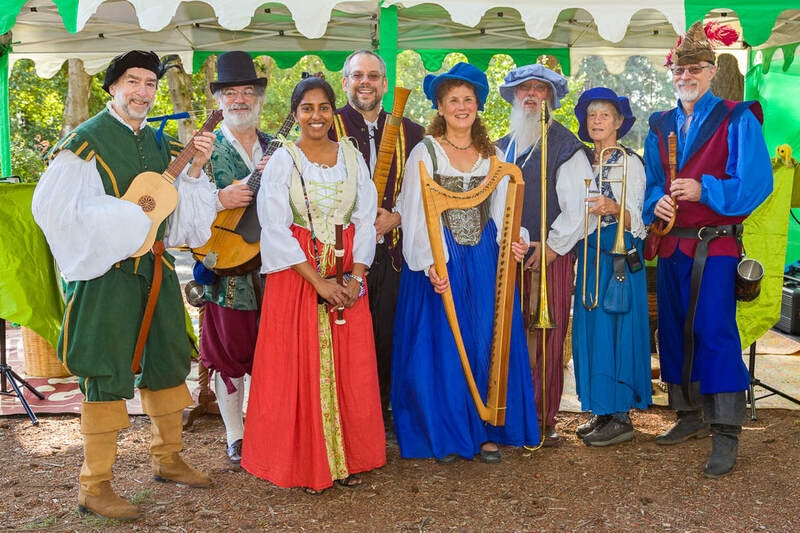 This extensive repertoire of authentic period music is full of color and excitement!